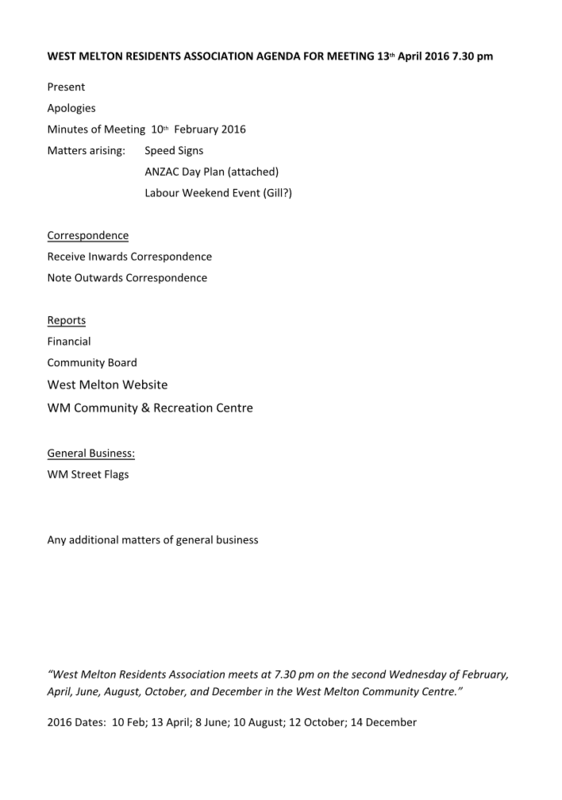 The West Melton Residents Association will hold their next meeting in the Community Center on April 13 at 7:30pm. The public are welcome and encouraged to attend. The following agenda is proposed (Click for a larger version).